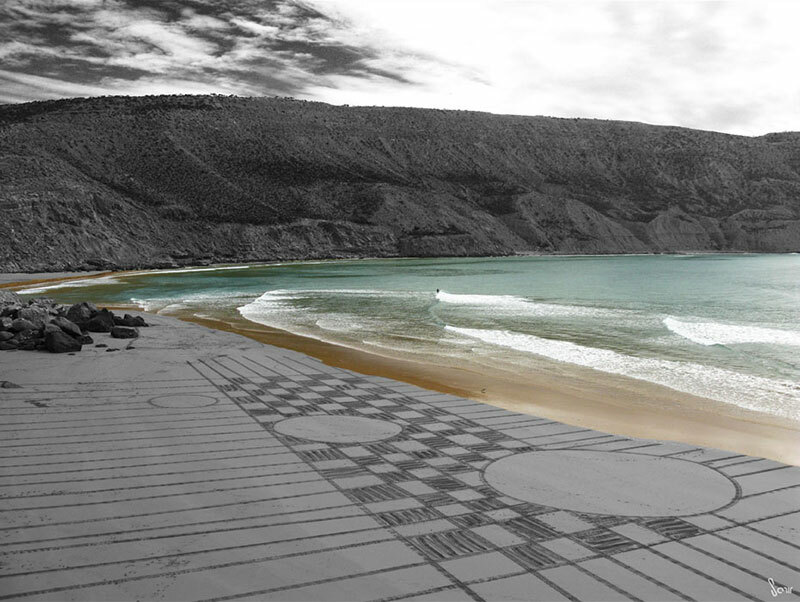 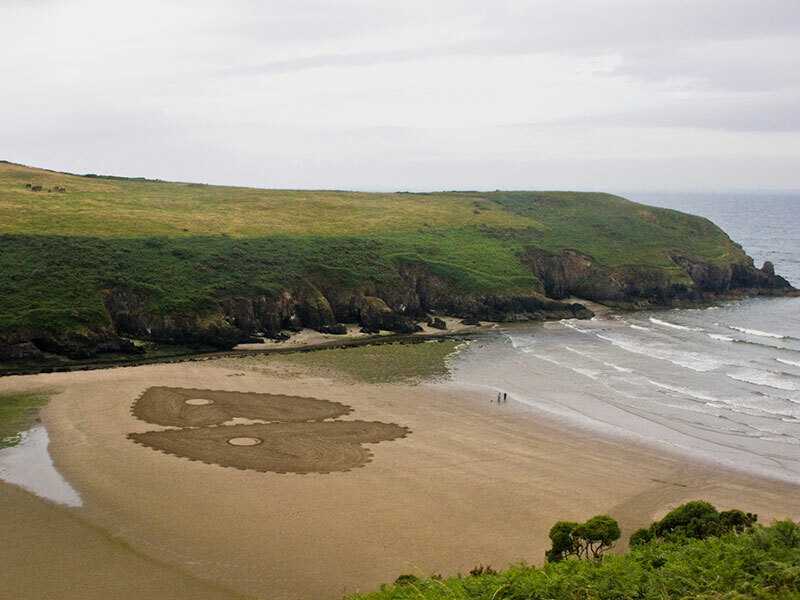 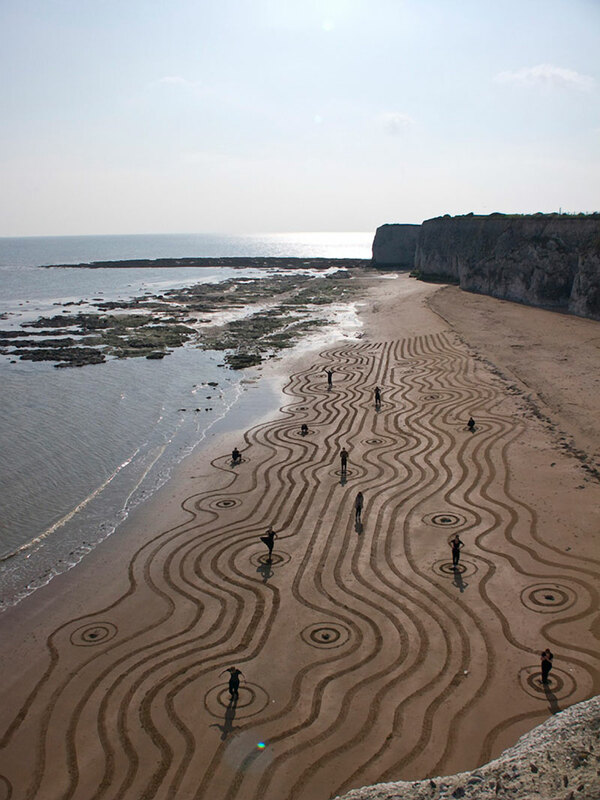 Ephemeral sand drawings by French artist Sam Dougados that disappears as the tides roll in. 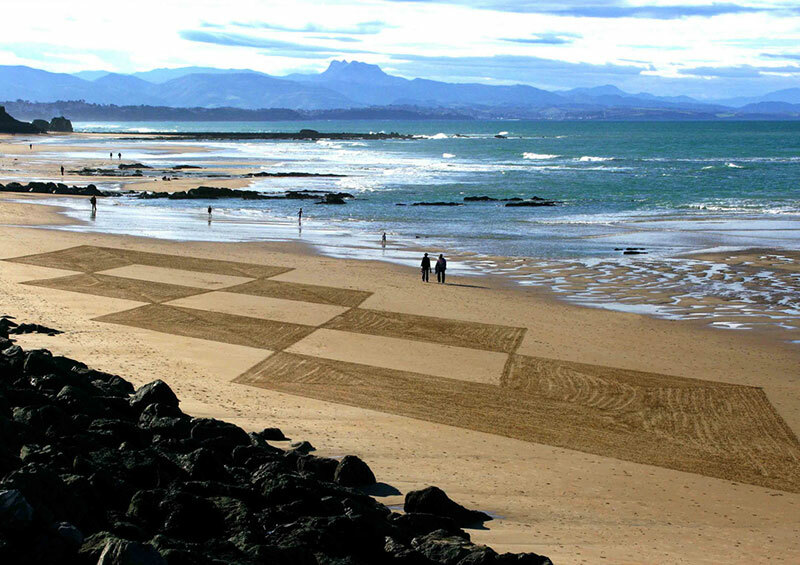 He calls these artworks arenaglyphe, which in Latin translates to sand (arena) and engrave (glyph). 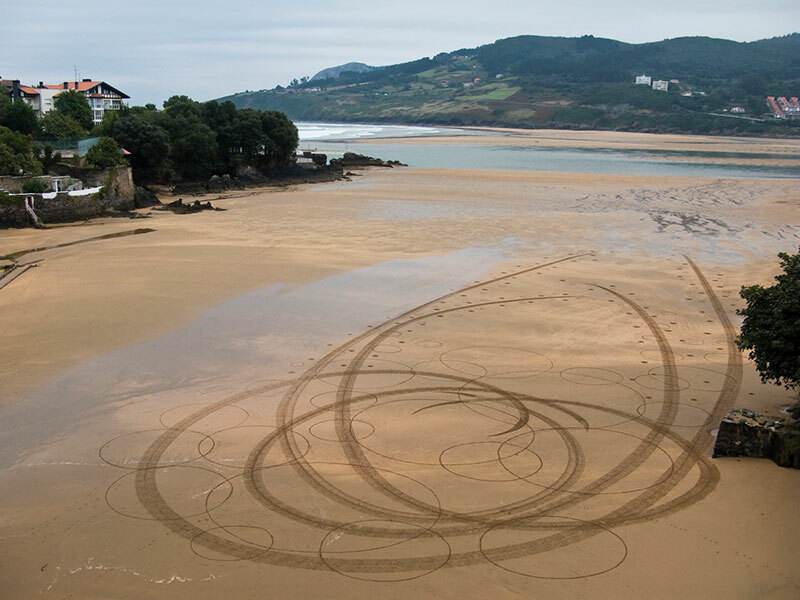 Using nothing but a rake and his imagination, he creates these abstract, geometric patterns during the low tide and draws for a couple of hours letting his environment inspire him. 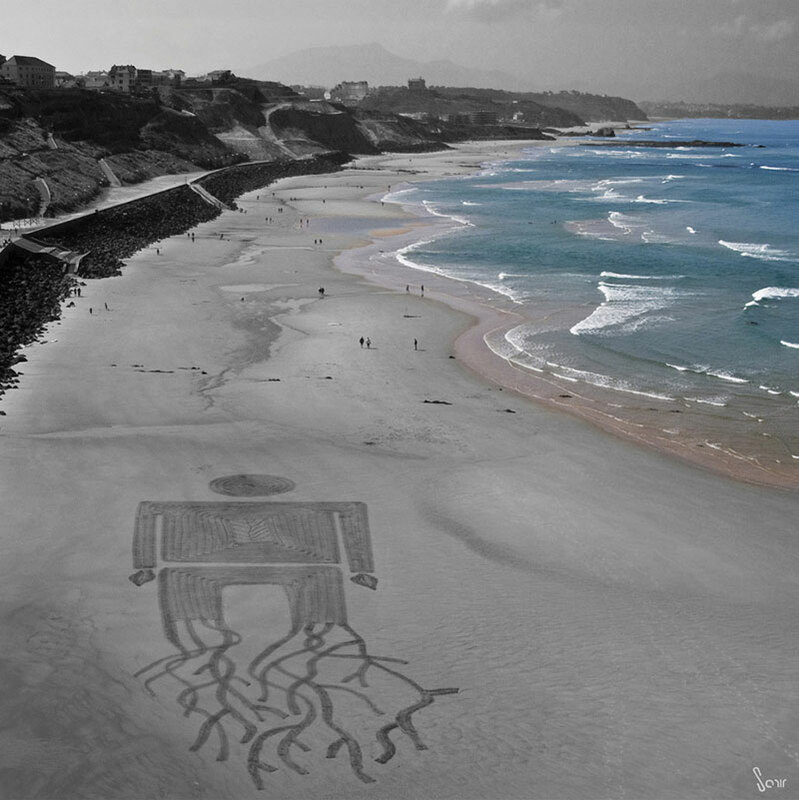 After completing a drawing, he finds a place where he can photograph the finished piece, sometimes getting caught by the quickly rising tide. 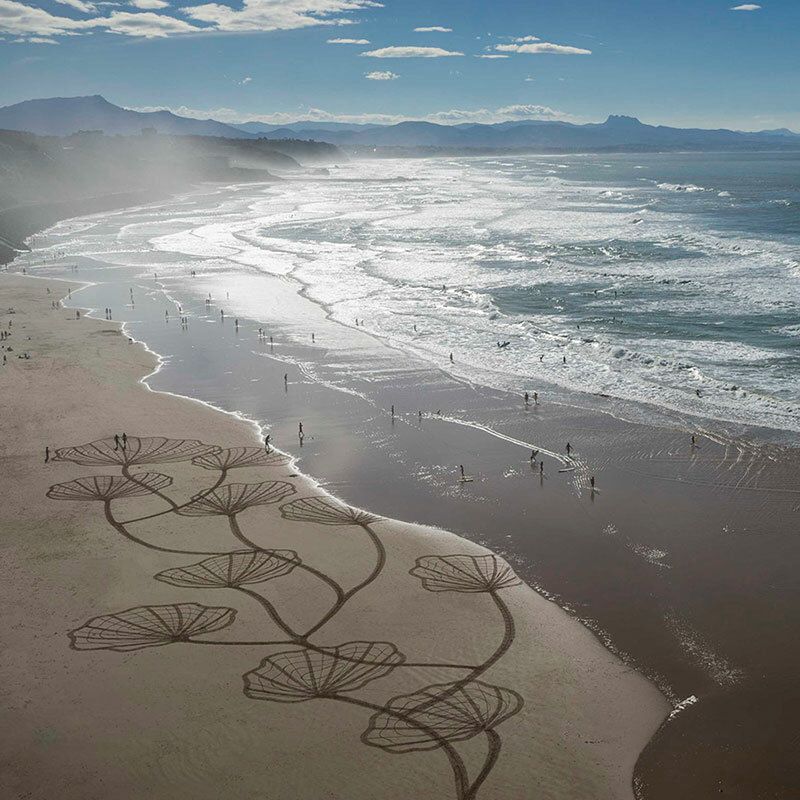 I try to capture nature's fleeting beauty. 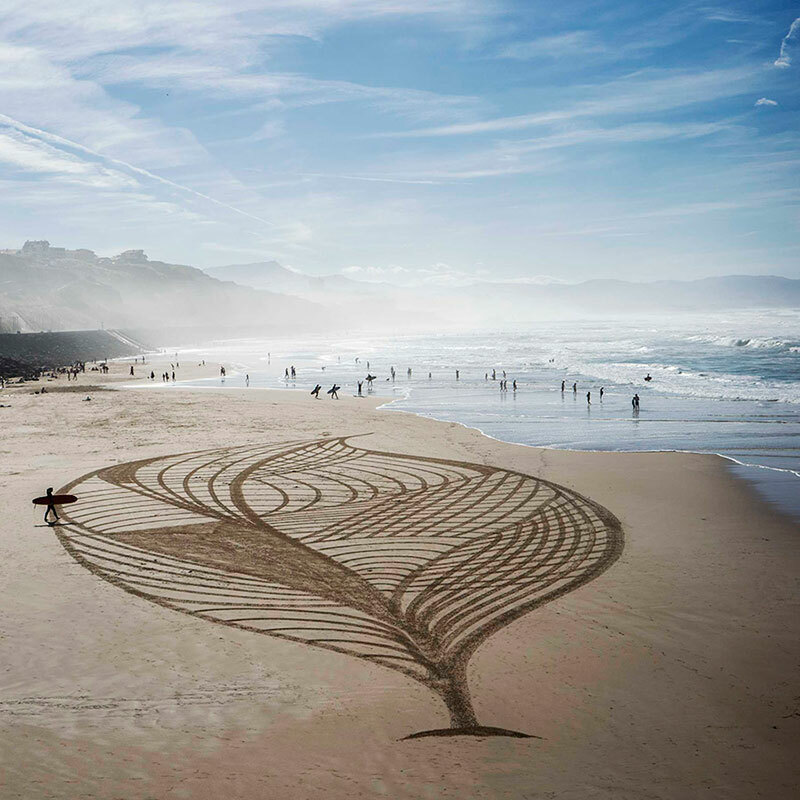 [It's] a geometry and poetry that makes us stop and reflect on the magic of a moment, our relationship with nature, and the very essence of our beings. 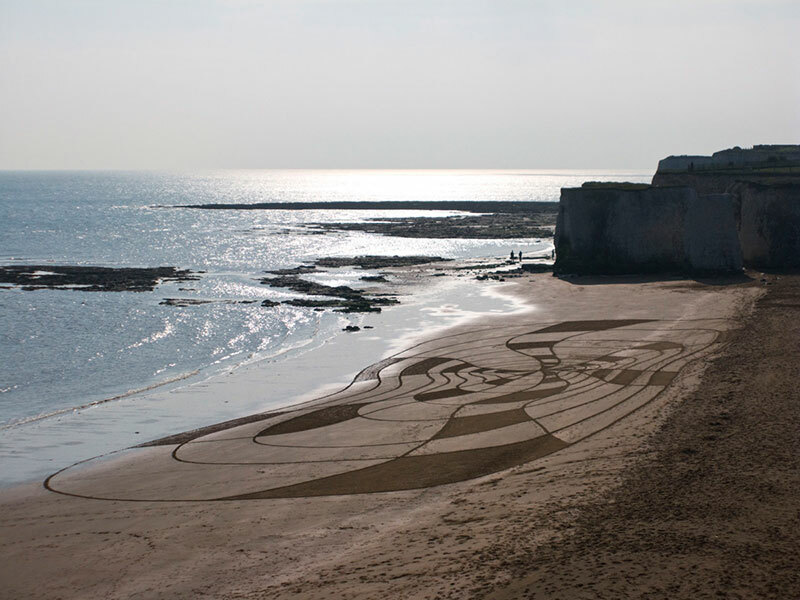 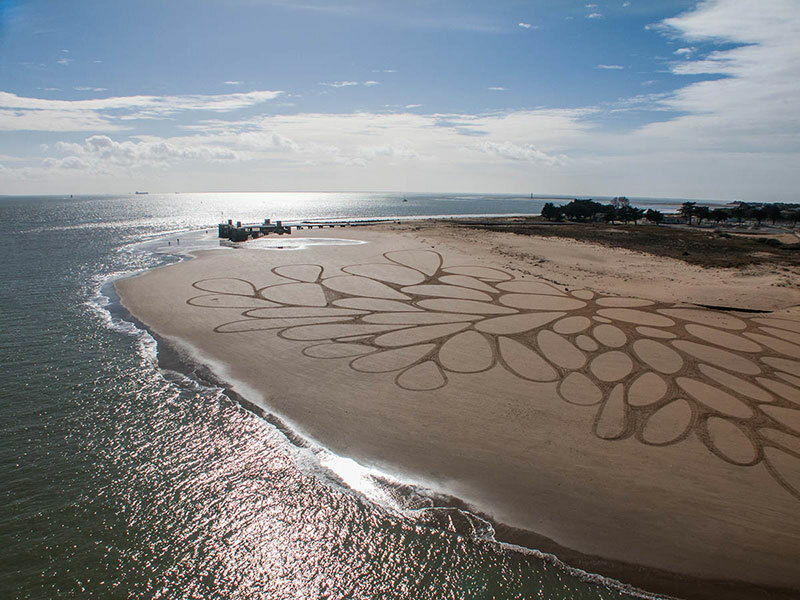 Ephemeral sand drawings by French artist Sam Dougados that disappears as the tides roll in.